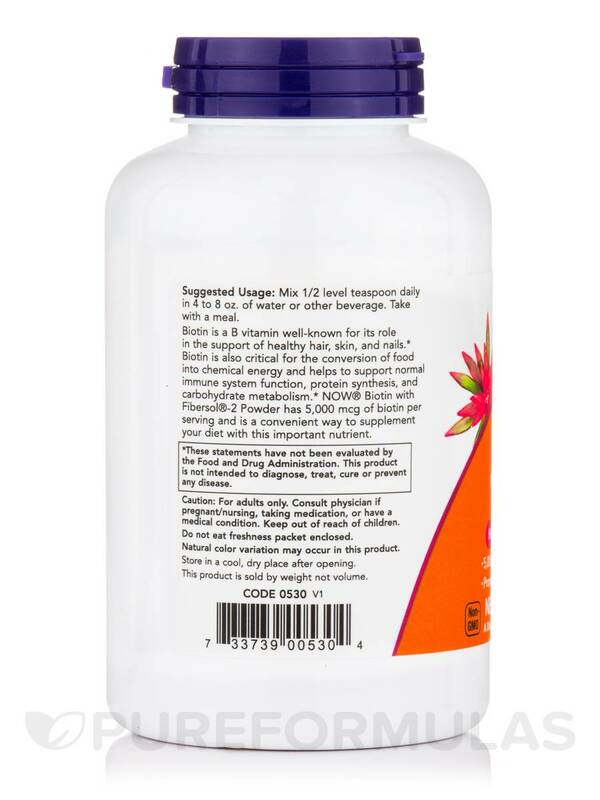 Healthy Hair‚ Skin and Nails! 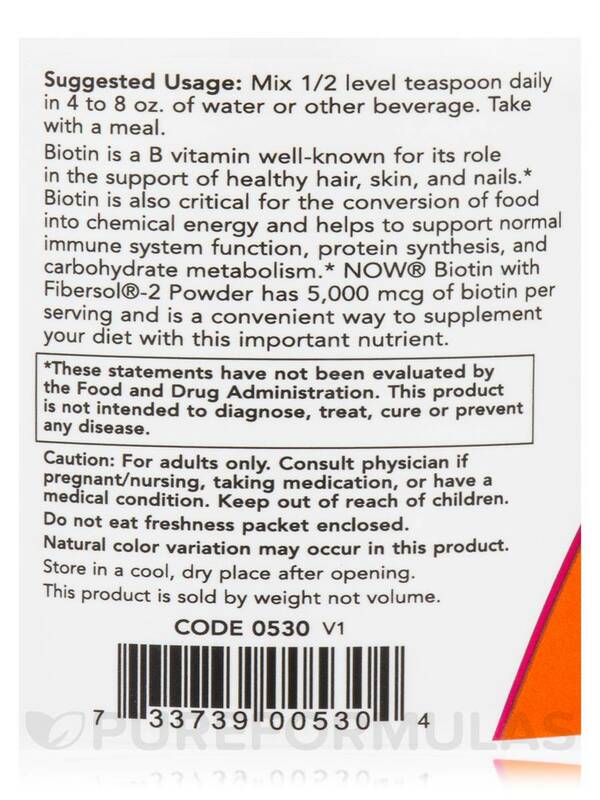 Biotin is a B vitamin well-known for its role in the support of healthy hair‚ skin‚ and nails. 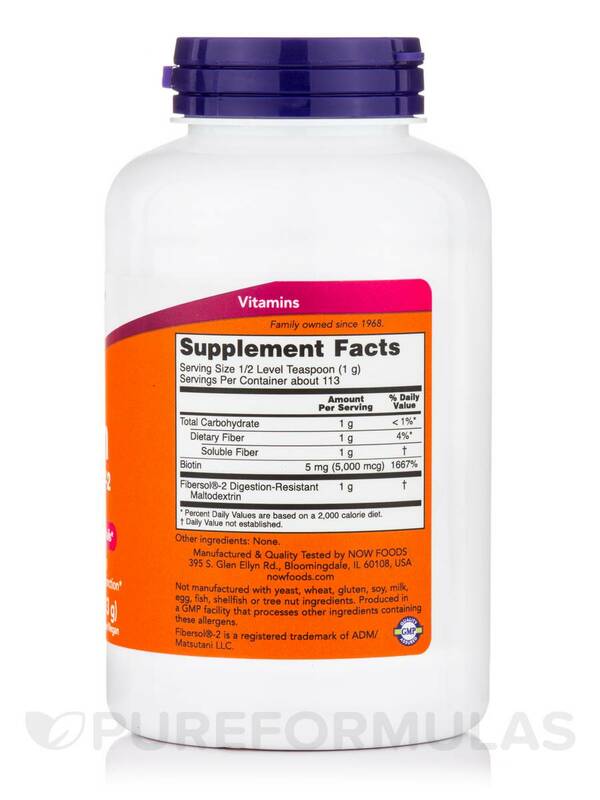 Biotin is also critical for the conversion of food into chemical energy and helps to support normal immune system function‚ protein synthesis‚ and carbohydrate metabolism. 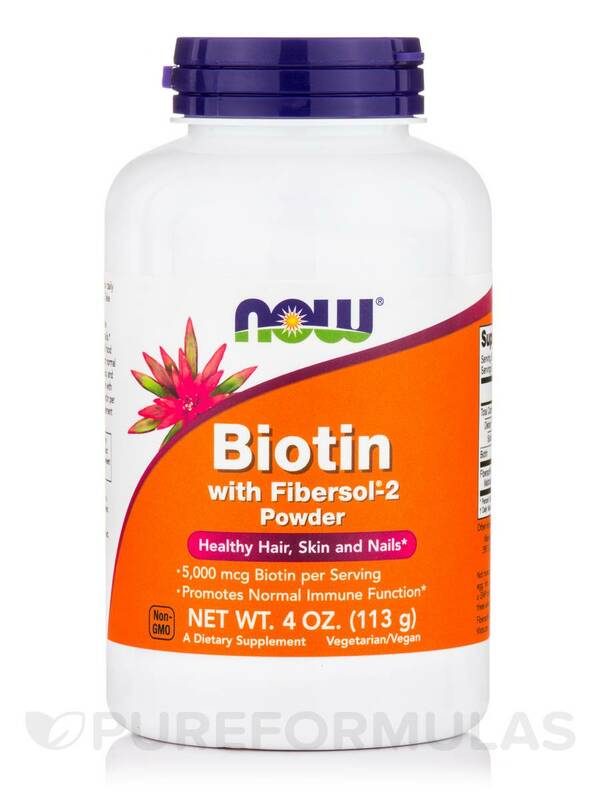 NOW® Biotin with Fibersol®-2 Powder has 5‚000 mcg of biotin per serving and is a convenient way to supplement your diet with this important nutrient. 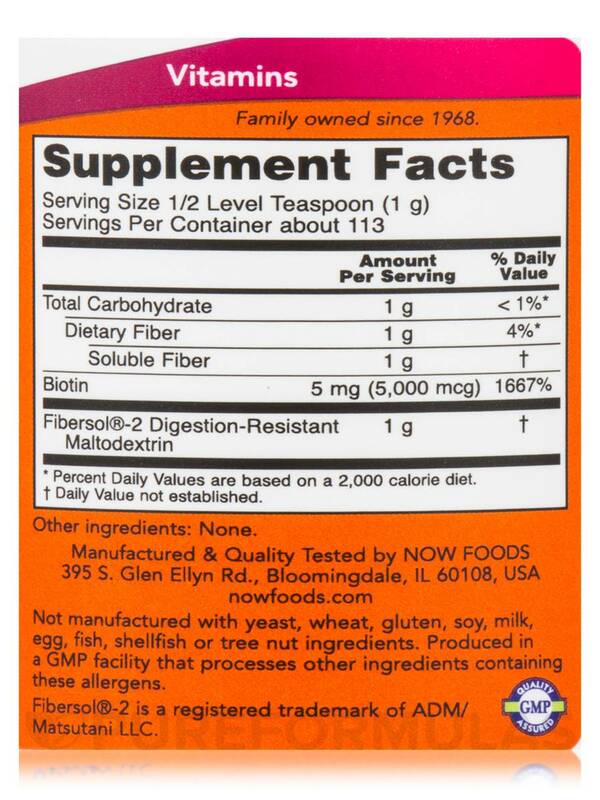 Mix 1/2 level teaspoon daily in 4 to 8 oz. of water or other beverage. Take with a meal.